Not everyone groups menopause and depression together but there is most definitely a commonality between them. It is wise to learn as much as you can about menopause depression before deciding the best way to manage it. Depression is most likely to hit during perimenopause, the transitional stage before actual menopause (no periods for 12 months). Somewhere between 8% and 15% of women experience some level of depression. Your hormonal balance is constantly changing and producing less hormones, in particular estrogen. When estrogen levels decline this can lead to menopause depression. The first thing to realise is that you have not suddenly become mentally ill but are suffering from menopause depression, which can be treated either through support, therapy, natural or herbal remedies or medicine. Depression is a mental disorder; the symptoms of which can be split into 3 categories. Physical Symptoms: fatigue, overeating, insomnia, constant aches and pains, appetite loss, decreased energy, headaches, stomach cramps and digestive problems. Emotional Symptoms: feelings of helplessness and impending doom, constant feelings of sadness and anxiety, irritability, restlessness, suicidal thoughts, feelings of worthlessness, helplessness, guilt. Behavioural Symptoms: difficulty concentrating, indecisiveness, lack of attention to physical appearance, difficulty remembering details, neglecting responsibilities, loss of interest in everyday life and activities you previously found pleasurable. loss of libido. At least 5 symptoms must be present for no less than 2 weeks for depression to be diagnosed At least one of the 5 must include constant feelings of sadness or loss of interest or pleasure. There is an increased risk of developing menopause depression if you have a history of mood disorders, especially during your 20s. Women who have gone through surgical menopause are also at an increased risk of menopause and depression. If you have been prone to premenstrual mood swings, have had a postpartum depression or were extremely emotional during a pregnancy you are someone who will likely be more sensitive to a drop in estrogen. Menopause and depression can be linked to low estrogen levels or to the fact that we face so many changes during out 40s and 50s; pressures of work, marriage, children, elderly parents, finance and of course our altered body image and the ageing process. We can feel that we have reached the end of our vitality and productivity. When you add these stressors to our declining hormone levels it is no wonder why so many women suffer from menopause depression. Our hormones all work together so when there is a shift in balance we will experience symptoms. For example, lowered estrogen can pull down your thyroxine levels. A low thyroid condition called Hypothyroidism, mimics depression. What Can You Do to Help Your Menopause Depression? 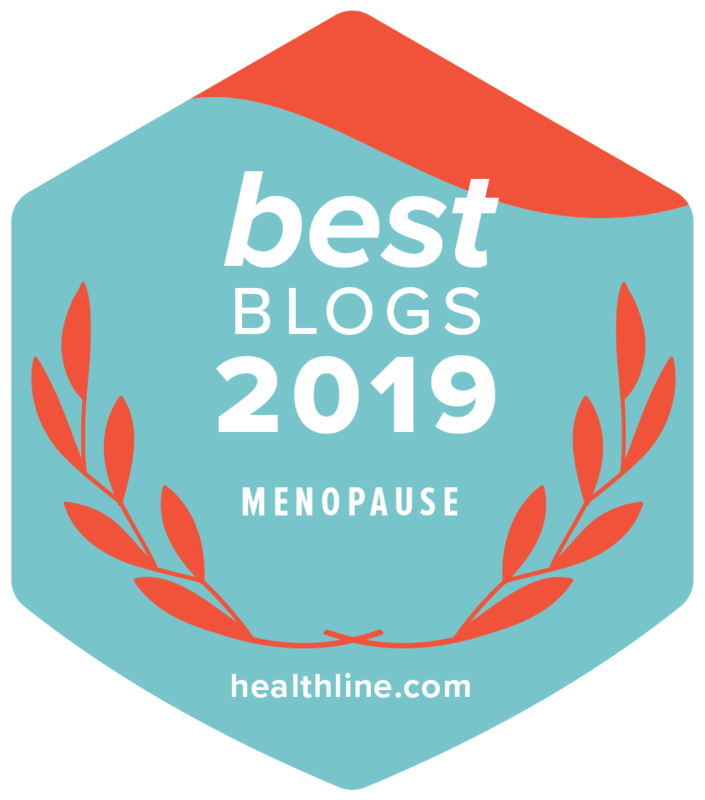 Find out which herbal remedies can bring natural menopause relief not only for depression but for menopause symptoms as a whole, by helping to balance your fluctuating hormone levels. Vitamins Calcium. As well as helping to relieve depression and anxiety, calcium is also used to prevent osteoporosis and new evidence suggests an elevated role in preventing disease. Vitamin D helps to replace the limited sunlight exposure caused by shorter days in winter (SAD) and sunscreen protection in summer. Also assists in the maintenance of bone health along with calcium. Fish oil. As well as helping to fight menopause depression, also reduces the risk of breast cancer and high cholesterol. With menopause and depression comes a natural propensity to over eat and gain weight. As soon as you start to have perimenopause symptoms it is the time in your life when you need to take charge. You should be eating the best diet possible, filled with whole grains and fruits and vegetables. You should be avoiding processed foods. 10 foods to help depression. A diet high in saturated fat, sugar and having too much caffeine also contribute to anxiety and depression during perimenopause. Just by reducing your intake of caffeine and white sugars will make you less anxious. Keep alcohol to a minimum, remember, “less is best”. Try menopause supplements to avoid any nutritional gaps in your diet. Maintaining a good sleep pattern (not an easy task when you are experiencing menopausal symptoms) makes you feel better, makes your thoughts clearer and your emotions less fragile. Without it, your judgement is clouded and your moods affected. Your ability to learn and retain information are weakened. Try relaxation techniques to help you to reduce menopause and anxiety. We know that 30 minutes of walking every day is great aerobic exercise but only if you actually “do it”. We all lead busy lives so 20 minutes, three times a week is a good start. Low serotonin levels caused by less estrogen can sometimes be compensated by exercise and being energetic. Daily use of a light box will also relieve depression. How does this work? A chemical called serotonin helps to produce melatonin. A decline in our estrogen levels affects the production of serotonin. Melatonin is positively affected by light. Natural menopause natural relief products to help to readdress your hormonal imbalance. Attitude Attitude plays a large part in how we feel and how we view the world we live in. When you were younger you probably didn’t give too much thought to older women but once you see yourself in early middle age you can start to focus on ageing. If you feel resentment about this time of your life it is likely to spill over. It’s maybe time to take a good hard look at yourself and to focus on the positives in your life instead of resisting something that is a fact of life. Not all women are interested in taking medication to help with their hormonal mood and they are invariably seeking a natural way to achieve a sense of calmness when they need it. Sometimes surrounding yourself with positive people can be the best way to snap out of a depressed state. Alternatively, turning to herbal teas and remedies can also make you feel better. If you are suffering from menopause depression it is important that you have a good support network in place. If you don’t have this at home or through friends you can find support groups in your area where you can meet other women facing the same challenges, or you can start one of your own! Options are available to help you and you should not need to go through menopause and depression alone. Should your thoughts turn suicidal you should seek medical help immediately. In some cases, you may need a prescribed anti-depressant to get you over the hump. More information on the subject of menopause and depression, including help and support. “Women and Depression: Menopause”. University of Michigan Depression Center. www.med.umich.edu.